Botox Cosmetic, Xeomin and Dysport are types of injectables that can reduce fine lines and wrinkles by relaxing facial muscles near the eyes, eyebrows, forehead, mouth and neck. The procedure requires no anesthesia and takes no more than 30 minutes. Contact us or call us at 910-763-3601 to schedule your free consultation with Dr. Kathleen Leone or Dr. Alan Oester to discuss which treatment options are right for you. 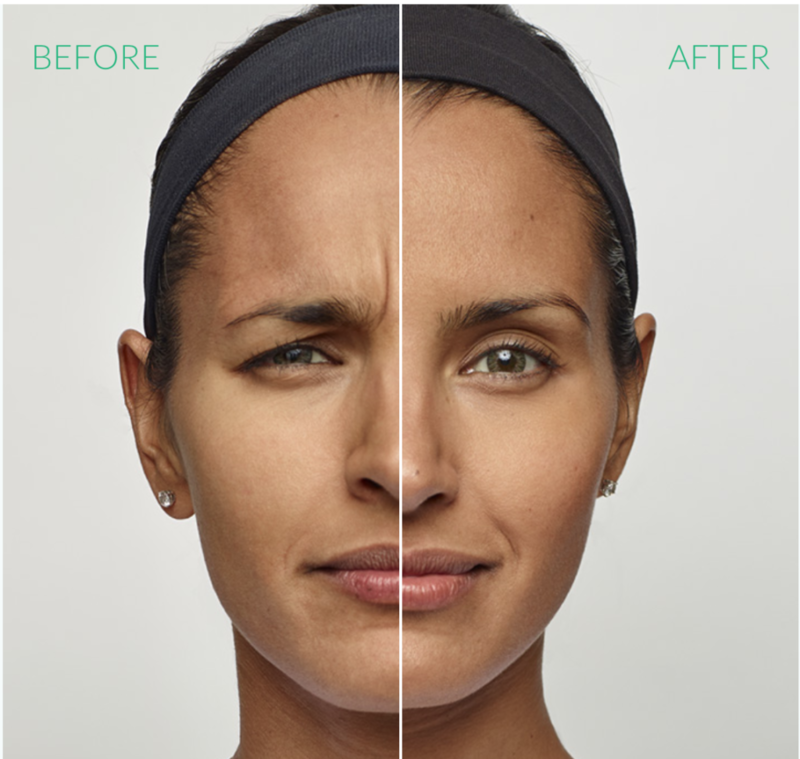 BOTOX®, the most popular cosmetic procedure performed in the US, safely and effectively diminishes or eliminates the presence of dynamic lines and wrinkles for up to six months. With no downtime and minimal discomfort, a series of tiny injections give you a rejuvenated look by smoothing wrinkles near the eyes, eyebrows, forehead, mouth and neck. The procedure yields visible results within days and continued improvement for up to a month. Clinical trials show that nearly 90 percent of patients noticed significant improvement in their appearance one month after treatment. XEOMIN® (incobotulinumtoxinA) for injection, for intramuscular use, was proven effective in two randomized, double-blind, multicenter, placebo-controlled clinical trials of more than 540 adult patients in the treatment of glabellar frown lines. The average age of patients in the study was 46 years. Patients received 20 Units of XEOMIN® and were classified as responders if they had a 2-grade improvement on a 4-point scale as assessed by the physician and patient. Using these criteria, treatment success was higher with XEOMIN® than placebo on day 30 in both studies (60% and 48% vs. 0% for placebo in both studies). Based on these trials, XEOMIN® received FDA approval for aesthetic use in 2011. If you are an adult with moderate to severe glabellar lines (frown lines between the eyes), XEOMIN® may be right for you. Talk to your doctor to discuss the benefits and risks of treatment. During your free cosmetic consultation, you will have a complete discussion of the risk and benefits of XEOMIN® with your physician. During treatment, which usually takes about 10-20 minutes, your doctor will inject XEOMIN® (incobotulinumtoxinA) for injection, for intramuscular use, into the muscles in your forehead that cause frown lines between your brows. No anesthesia is required; but, your physician may use a topical anesthetic or cold pack to reduce any discomfort. Dysport® is an FDA-approved injection used to reduce the appearanceof fine lines and wrinkles by relaxing facial muscles in the forehead. Similar to BOTOX® Cosmetic, Dysport® is injected directly into the site of wrinkles to prevent the underlying muscles from contracting. Dysport® injections are made from the bacterium Clostridium botulinum, the same protein used in Botox® injections. Dysport® injections are ideal for nearly anyone wishing to reduce the appearance of fine lines and wrinkles on the face and restore a younger, more refreshed appearance. What can I expect after Dysport®? Dysport® injections are generally safe, although there are certain risks associated with any procedure. These risks include soreness and bruising for several hours after treatment, an allergic reaction or ptosis (droopiness of the eyelid). The risk of complications can be reduced by choosing a qualified physician for your procedure. How are Dysport® injections administered? Treatment sessions typically take less than 15 minutes. Using a small-gauge needle, our physician will inject Dysport® into the sites of the wrinkles. The injections are administered directly into the facial muscles that cause frown lines and other wrinkles; these injections are generally painless, with no need for anesthesia. Pricing for Dysport® will depend on the number of units used for your treatment, and the severity of your wrinkles. Contact us to discuss the cost and schedule your free consultation.